Brev 9 sep 1165/81 till ärkebiskop Stefan i Uppsala och hans underlydande samt Guttorm Jarl, med befallning att genom fästningarnas besättande hindra finnarna (”phinni”) att avfalla från kristendomen. Påven Alexander III:s brev till ärkebiskop Stefan i Uppsala och hans underlydande samt Guttorm Jarl, med befallning att genom fästningarnas besättande hindra finnarna att avfalla från kristendomen. Vi återkommer med tolkningar och funderingar! Alexander Pope 3. Vpsalliensi archbishop and his assistants, Sec. Guthermo leader. How heavy and very difficult to take complaints to the Holy See reported that Phinn is always imminent, the army of enemies, they promise to keep the faith of Christians and Christian preachers and teachers in the petition demanding the withdrawal of the army and deny the Faith preachers serious, and seriously pursued. Therefore, since, in this trifle with God, and the Christian religion to make fun of religion seem to be, & insinuates itself into them twofold more the children of hell constituent, salvation, the life of the whole to be in the terrestrial, the most overlooked and to heavenly things, to be seen of which it consists: neither is there worthy of his owne followers what in the adversity of a Christian the name of the defense of the compare the two, which is in the prosperity, to look down & be in dread of being tried by vniuersitatem we warn, and we command, that from the fallacijs and artifices of their hearts in such is cautiously and with discretion, in the future God beware, that if there is an obligation to come to their aid and defense, You will not be able to have recourse, but the mounds, which they have received, but for you to keep for to which people assign, or at another time, such a degree sufficient to acquire this skill they exhibit & security, which is feet to draw you away from the way, not at all, or how have I pruderitiam may be able to surround us: the: but they are forced to the teachings of the Christian faith; lay hold on firmly to keep the &: no longer a question of the number of they may be seen of them, of whom it is said, Corifitebitur for thee, when thou shalt do well to him. Given Tuseul. V. middle of September. such an extent they exhibit & security sufficient to acquire this skill, is in a manner by no means draw us away from the feet, or how have I pruderitiam may be able to surround us: the: but they are forced to the teachings of the Christian faith; lay hold on firmly to keep the &: no longer a question of the number of they may be seen of them, of whom it is said, Corifitebitur for thee, when thou shalt do well to him. Given Tuseul. V. middle of September. such an extent they exhibit & security sufficient to acquire this skill, is in a manner by no means draw us away from the feet, or how have I pruderitiam may be able to surround us: the: but they are forced to the teachings of the Christian faith; lay hold on firmly to keep the &: no longer a question of the number of they may be seen of them, of whom it is said, Corifitebitur for thee, when thou shalt do well to him. Given Tuseul. V. middle of September. BILDERNA: Erik den Helige, de La Motrayes avbildning av Sigvids ristning efter Vidiarf (Vidjärv) i gamla Uppsala kyrka (Uppsala 280:1, via Kalle Runristare) samt Keksholms slott (foto Evakonpoika), ungefärligen samtida med brevet – men i huvudsakligen dåförtiden besatt av Novgorod. Svenska imperiet har alltid sneglat på detta slott och tidtals innehaft det. Inalles har det främst dock hört till det folk vi idag kallar ryssar. Påven Alexanders III:s brev till ärkebiskop Stefan i Uppsala och hans underlydande samt Guttorm Jarl, med befallning att genom fästningarnas besättande hindra finnarna att avfalla från kristendomen. Ur Hans Skankes ”Epitome historiæ missionis lapponicæ”. Det finns en Lappvesi kommun numera uppgången i Villmanstrand i Kymmene län i sydöstligaste Finland. Men Lapauesi, dvs Lapa- (eller Lappa-)vesi, dvs Lappvattnet, är på Lucas Janszoon Waghenaers karta från 1588 utritat en bra bit öster om Viborg. Frågan är om det finns två, eller om han bara hade missuppfattat positionen. Vi ser även svenska staden Nyen, som heter Niewkerck här = Petersburgs föregångare. Formaatti: 1 kartta : (kuparipiirros, käsinvär. ;)33,5 x 51,5 cm, lehti 40,5 x 54,5 cm. Kuvaus: Janamittakaavat: Englishe leagues 20 in a degree ; Spanische leagues 17 1/2 in a degree ; Dutche leagues 15 in a degree. Update Oct 3, 2015: Summary lectures & A (semi-secret) Jolly Good Idea? Lectures in Uppsala and Östersund completed. I am not to pleased with my own efforts; yet people seem to have likes it in general. i is, though, an easy study field, in that sense, that it encompasses many new aspects and less known empirical data. As a starter, this minitout it feels at least O.K. Now I want to call for one or two scholars from Finland and Russia/Karelia/Kola. I have an idea, and I want to test it on you. You must be into the Saami-historical issues. Give me a call through Facebok or here! This Story is really too familiar ……….. These pictures on rocks of the Onega lake and of the White sea tell us about the period when the territory of Karelia was populated by the Saami tribe, also called ”Lapi” – a nomadic tribe of people, moving with deer. Later the Korela and Veps (Vesi) tribes pushed Saami together with the deer population, constantly migrating in search of better pastures, further north, and started settling on the territory. The name ”Korela” has originated, possibly, from ”Koru ela” (”she ate bark” in Russian) – Karelian soil is very rocky and it was extremely difficult to cultivate wheat there, therefore Karelians very often added powdered tree bark to flour when making bread, and that, probably, contributed to the formation of such a name. 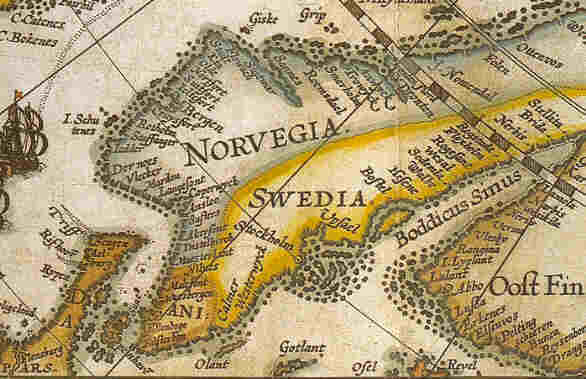 At the end of the 1st millenium A.D. the territory of Karelia in the North was populated by the Saami, the territory between the Ladoga and the Onega lakes was occupied by Vesi, and the Northern and the Western Ladoga areas and the Karelian isthmus was occupied by the Korela tribe, bordering in the south with Izhora – people, inhabiting the land, known as Ingria.